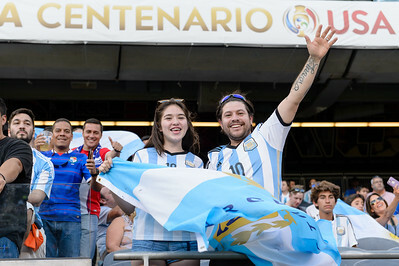 Chicago, IL, USA - Friday, June 10, 2016: during a Copa America Centenario Group D match between Argentina (ARG) and Panama (PAN) at Soldier Field. 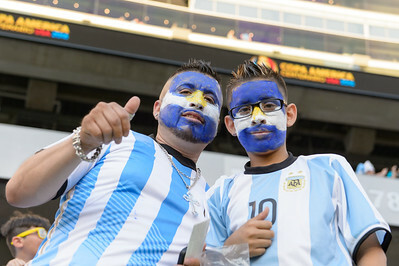 Chicago, IL, USA - Friday, June 10, 2016: Argentina fans before a Copa America Centenario Group D match between Argentina (ARG) and Panama (PAN) at Soldier Field. 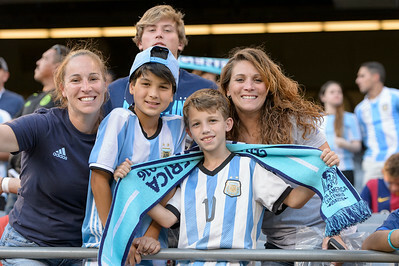 Argentina won 5-0. 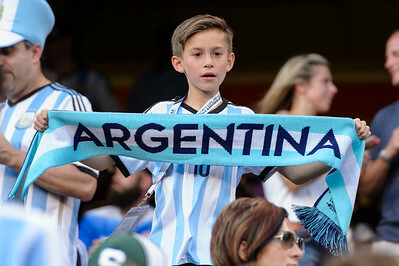 Chicago, IL, USA - Friday, June 10, 2016: An Argentina fan before a Copa America Centenario Group D match between Argentina (ARG) and Panama (PAN) at Soldier Field. Argentina won 5-0. 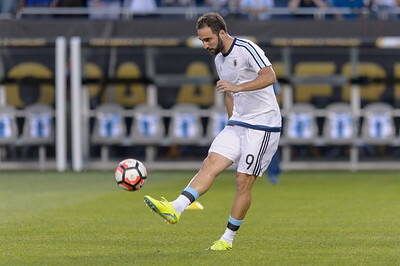 Chicago, IL, USA - Friday, June 10, 2016: Argentina forward Gonzalo Higuain (9) warms up before a Copa America Centenario Group D match between Argentina (ARG) and Panama (PAN) at Soldier Field. Argentina won 5-0. 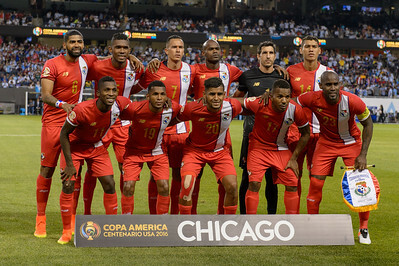 Chicago, IL, USA - Friday, June 10, 2016: The Panama starting eleven before a Copa America Centenario Group D match between Argentina (ARG) and Panama (PAN) at Soldier Field. 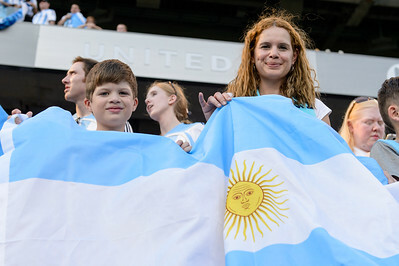 Argentina won 5-0. 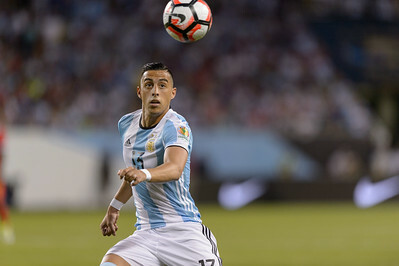 Chicago, IL, USA - Friday, June 10, 2016: Argentina defender Ramiro Funes Mori (13) and Panama forward Blas Perez (7) during a Copa America Centenario Group D match between Argentina (ARG) and Panama (PAN) at Soldier Field. 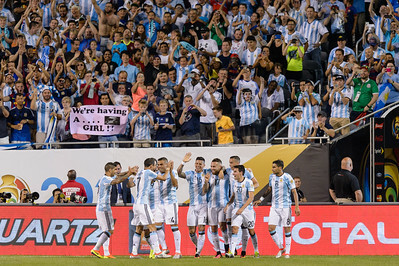 Argentina won 5-0. 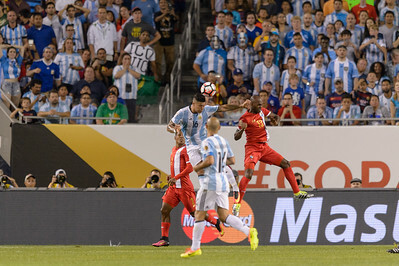 Chicago, IL, USA - Friday, June 10, 2016: Argentina midfielder Javier Mascherano (14) during a Copa America Centenario Group D match between Argentina (ARG) and Panama (PAN) at Soldier Field. Argentina won 5-0. 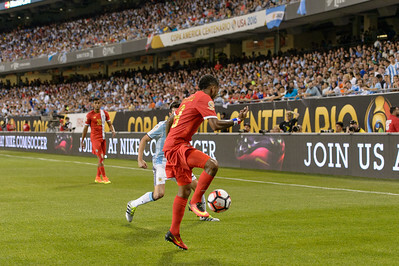 Chicago, IL, USA - Friday, June 10, 2016: Panama defender Luis Henriquez (17) during a Copa America Centenario Group D match between Argentina (ARG) and Panama (PAN) at Soldier Field. Argentina won 5-0. 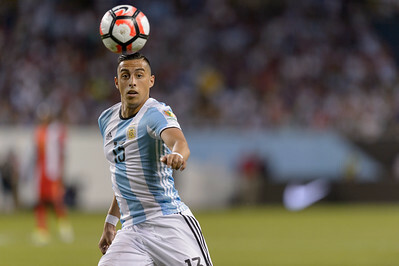 Chicago, IL, USA - Friday, June 10, 2016: Argentina defender Ramiro Funes Mori (13) during a Copa America Centenario Group D match between Argentina (ARG) and Panama (PAN) at Soldier Field. Argentina won 5-0. 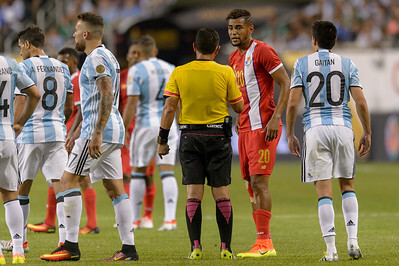 Chicago, IL, USA - Friday, June 10, 2016: Panama forward Blas Perez (7) receives a yellow card during a Copa America Centenario Group D match between Argentina (ARG) and Panama (PAN) at Soldier Field. Argentina won 5-0. 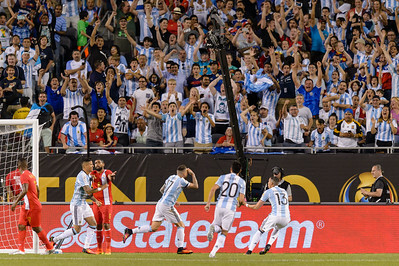 Chicago, IL, USA - Friday, June 10, 2016: Argentina defender Nicolas Otamendi (17) and teammates celebrate a goal during a Copa America Centenario Group D match between Argentina (ARG) and Panama (PAN) at Soldier Field. Argentina won 5-0. 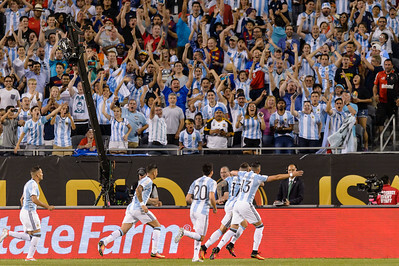 Chicago, IL, USA - Friday, June 10, 2016: Argentina defender Nicolas Otamendi (17) and teammates celebrate his goal in the seventh minute during a Copa America Centenario Group D match between Argentina (ARG) and Panama (PAN) at Soldier Field. Argentina won 5-0. 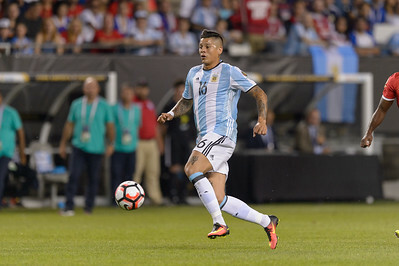 Chicago, IL, USA - Friday, June 10, 2016: Argentina defender Marcos Rojo (16) during a Copa America Centenario Group D match between Argentina (ARG) and Panama (PAN) at Soldier Field. 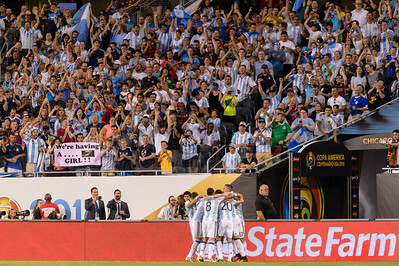 Argentina won 5-0. 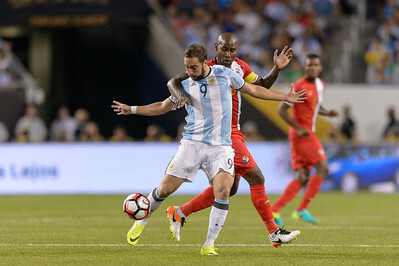 Chicago, IL, USA - Friday, June 10, 2016: Argentina forward Gonzalo Higuain (9) and Panama defender Felipe Baloy (23) during a Copa America Centenario Group D match between Argentina (ARG) and Panama (PAN) at Soldier Field. Argentina won 5-0. 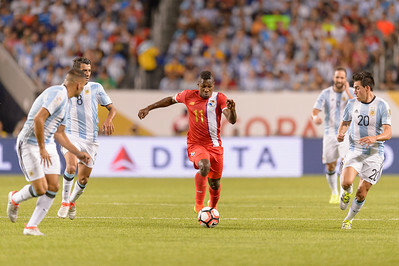 Chicago, IL, USA - Friday, June 10, 2016: Panama midfielder Alberto Quintero (19) during a Copa America Centenario Group D match between Argentina (ARG) and Panama (PAN) at Soldier Field. Argentina won 5-0. Chicago, IL, USA - Friday, June 10, 2016: Panama midfielder Alberto Quintero (19) and Argentina midfielder Nicolas Gaitan (20) during a Copa America Centenario Group D match between Argentina (ARG) and Panama (PAN) at Soldier Field. Argentina won 5-0. 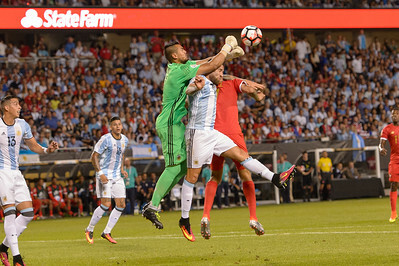 Chicago, IL, USA - Friday, June 10, 2016: Argentina goalkeeper Sergio Romero (1) punches a ball during a Copa America Centenario Group D match between Argentina (ARG) and Panama (PAN) at Soldier Field. Argentina won 5-0. 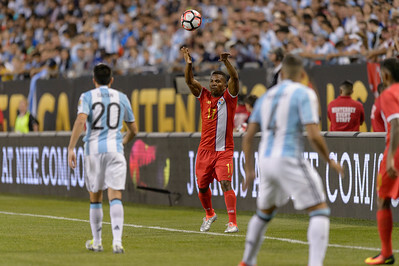 Chicago, IL, USA - Friday, June 10, 2016: Panama midfielder Anibal Godoy (20) with an attempted shot on goal during a Copa America Centenario Group D match between Argentina (ARG) and Panama (PAN) at Soldier Field. Argentina won 5-0. 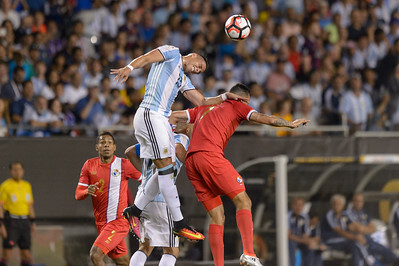 Chicago, IL, USA - Friday, June 10, 2016: Argentina defender Gabriel Mercado (4) and Panama midfielder Anibal Godoy (20) during a Copa America Centenario Group D match between Argentina (ARG) and Panama (PAN) at Soldier Field. Argentina won 5-0. 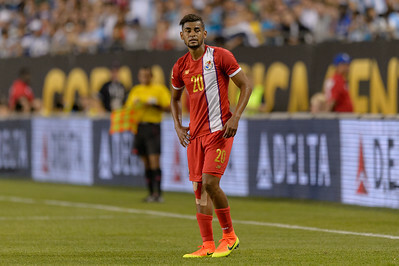 Chicago, IL, USA - Friday, June 10, 2016: Panama midfielder Anibal Godoy (20) receives his second yellow during a Copa America Centenario Group D match between Argentina (ARG) and Panama (PAN) at Soldier Field. Argentina won 5-0. 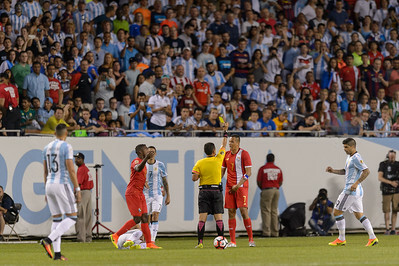 Chicago, IL, USA - Friday, June 10, 2016: Panama midfielder Anibal Godoy (20) receives his second yellow resulting in a red card during a Copa America Centenario Group D match between Argentina (ARG) and Panama (PAN) at Soldier Field. Argentina won 5-0. 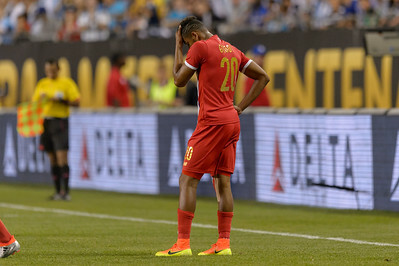 Chicago, IL, USA - Friday, June 10, 2016: Panama midfielder Anibal Godoy (20) reacts after he receives his second yellow during a Copa America Centenario Group D match between Argentina (ARG) and Panama (PAN) at Soldier Field. Argentina won 5-0. 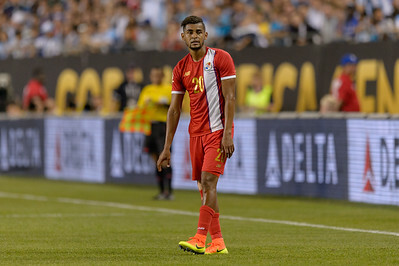 Chicago, IL, USA - Friday, June 10, 2016: Panama midfielder Anibal Godoy (20) after he receives his second yellow during a Copa America Centenario Group D match between Argentina (ARG) and Panama (PAN) at Soldier Field. Argentina won 5-0. 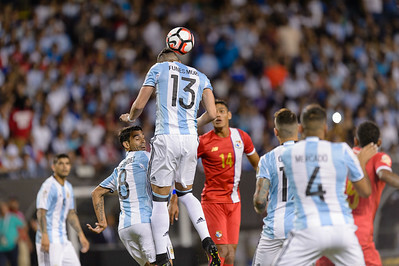 Chicago, IL, USA - Friday, June 10, 2016: Argentina defender Marcos Rojo (16) and Panama defender Adolfo Machado (13) during a Copa America Centenario Group D match between Argentina (ARG) and Panama (PAN) at Soldier Field. Argentina won 5-0. 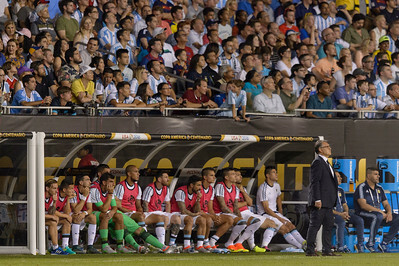 Chicago, IL, USA - Friday, June 10, 2016: Argentina head coach Gerardo Martino during a Copa America Centenario Group D match between Argentina (ARG) and Panama (PAN) at Soldier Field. Argentina won 5-0. 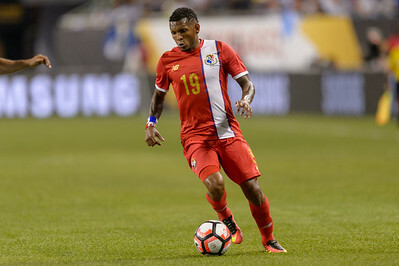 Chicago, IL, USA - Friday, June 10, 2016: Panama midfielder Armando Cooper (11) during a Copa America Centenario Group D match between Argentina (ARG) and Panama (PAN) at Soldier Field. 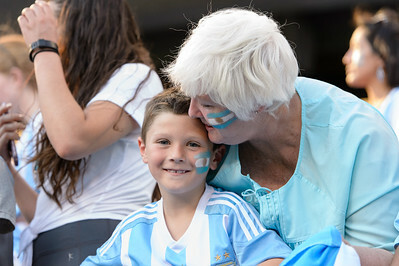 Argentina won 5-0.